Pale Moon has been updated to version 25.6. This update includes critical security updates as well as numerous fixes/changes. Fixed a memory safety bug due to a bad test in nsZipArchive.cpp (CVE-2015-2735). Fixed a memory safety bug in nsZipArchive::BuildFileList (CVE-2015-2736). Fixed a memory safety bug caused by an overflow in nsXMLHttpRequest::AppendToResponseText (CVE-2015-2740). Fixed a Use After Free in CanonicalizeXPCOMParticipant (CVE-2015-2722). Fixed off-main-thread nsIPrincipal use of various consumers in the tree (only grab the principal when needed). Fixed an issue where an IPDL message was sent off the main thread. Fixed a potentially exploitable TCPSocket crash due to a race condition. Canvas anti-fingerprinting option: Pale Moon now includes the option to make canvas fingerprinting much more difficult. By setting the about:config preference canvas.poisondata to true, any data read back from canvas surfaces will be "poisoned" with humanly-imperceptible data changes. By default this is off, because it has a large performance impact on the routines reading this data. Added a feature to allow icon fonts to be used even when users disallow the use of document-specified fonts. This should retain full navigation for icon-font heavy websites (no more dreaded "boxes" with hex codes) when custom text fonts are disabled. Added a feature to prevent screen savers from kicking in when playing full-screen HTML5 video. This is currently not yet operational on Linux because of stability issues we've run into on that OS, but Windows should properly benefit from this change. Microsoft released out-of-band critical security update which addresses a vulnerability in Microsoft font driver that could allow remote code execution. 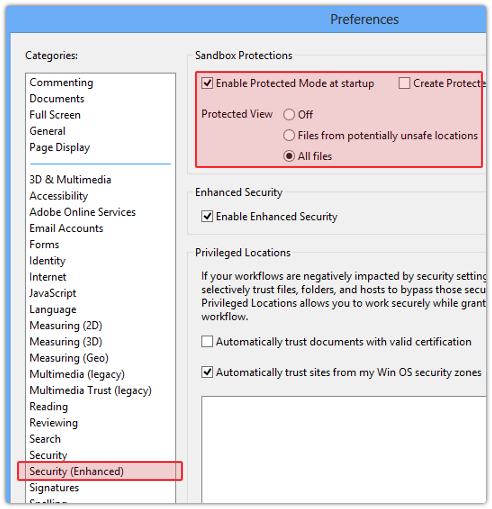 The vulnerability affects all supported versions of Microsoft Windows. A restart is required in order to apply the update. MS15-078 --Vulnerability in Microsoft Font Driver Could Allow Remote Code Execution (3079904). This security update resolves a vulnerability in Microsoft Windows. The vulnerability could allow remote code execution if a user opens a specially crafted document or visits an untrusted webpage that contains embedded OpenType fonts. 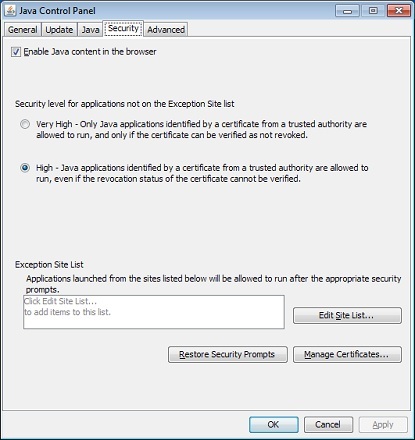 3) If you use Firefox or Pale Moon, install NoScript and only allow Java on those sites where it is required. The updates address vulnerabilities in Microsoft Windows, Microsoft Office, Microsoft SQL Server, and Internet Explorer. 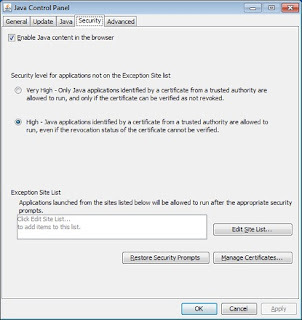 Details about the CVEs can be found in the below-referenced TechNet Security Bulletin. MSRT -- Microsoft released an updated version of the Microsoft Windows Malicious Software Removal Tool on Windows Update, Microsoft Update, Windows Server Update Services, and the Download Center. 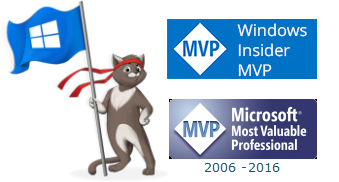 The updated version includes Win32/Crowti and Win32/Reveton. Details are available in the MMPC Blog Post. Windows XP -- Effective today, Microsoft definition updates for Microsoft Security Essentials for Windows XP are finished! See Microsoft antimalware support for Windows XP. Adobe has released a critical security update for Adobe Shockwave Player which resolves memory corruption vulnerabilities that could lead to code execution on the Windows and Macintosh operating systems. The newest version 12.1.9.159 is available here: http://get.adobe.com/shockwave/. As usual, watch for any pre-checked add-ons not needed for the update. Adobe has released the quarterly security update for Adobe Reader and Acrobat XI for Windows and Macintosh. The update addresses critical vulnerabilities and should be installed as soon as possible. Adobe Reader XI (11.0.12) for Windows is available here: http://www.adobe.com/support/downloads/product.jsp?product=10&platform=Windows. Adobe has released Version 18.0.0.209 of Adobe Flash Player for Windows, Macintosh and Linux. The Extended Release Version was updated to 13.0.0.305. Users of the Adobe Flash Player desktop runtime for Windows and Macintosh should update to Adobe Flash Player 18.0.0.209. Users of the Adobe Flash Player Extended Support Release should update to Adobe Flash Player 13.0.0.305. Note: Beginning August 11, 2015, Adobe will update the version of the "Extended Support Release" from Flash Player 13 to Flash Player 18 for Macintosh and Windows. Users of Adobe Flash Player for Linux should update to Adobe Flash Player 11.2.202.481. Adobe has released Version 18.0.0.203 of Adobe Flash Player for Windows and Macintosh and Version 18.0.0.180 of Adobe AIR. Version information for Linux and the Extended Release is available below. This update addresses critical vulnerabilities that could potentially allow an attacker to take control of the affected system. Because an exploit targeting CVE-2015-5119 has been published publicly, updating to the latest version as soon as possible is advised. Details of the vulnerabilities are included in the below-referenced Security Bulletin. At the time of this posting, the Release Notes have not yet been released but will be available later in the reference below. Users of the Adobe Flash Player desktop runtime for Windows and Macintosh should update to Adobe Flash Player 18.0.0.203. The current version of Adobe AIR is 18.0.0.180. Users of the Adobe Flash Player Extended Support Release should update to Adobe Flash Player 13.0.0.302. The latest version of Adobe AIR for Android is 18.0.0.180 and earlier versions, available by downloading it from the Android Marketplace by browsing to it on a mobile phone. Mozilla sent Version 39.0 to the release channel. The update includes four (4) critical, two (2) high, six (6) moderate and one (1) low security update. Firefox ESR version has been updated to 31.8.